Event: Interim results for the six months to 30 June 2018 published 28 September 2018. Summary: These figures were not as good as I had hoped. The lowest first-half sales for seven years created a not-insignificant operating loss and left cash flow dependent on tax refunds. Still, the geoscience software specialist talked of a stronger second half and I remain hopeful the accounts will eventually showcase the high margins and expanding revenue the directors continue to predict. For the time being, I just have to trust a stronger oil price can one day tempt GTC’s customers to increase their spending. I continue to hold. Click here to read all my GTC posts. Last week I quickly described these results as “adequate in the circumstances”. But after studying the figures in more detail, I have to admit I am a tad disappointed. You see, GTC’s previous 17-month results had suggested (at least to me) that annual profit could be running at £200k-plus. 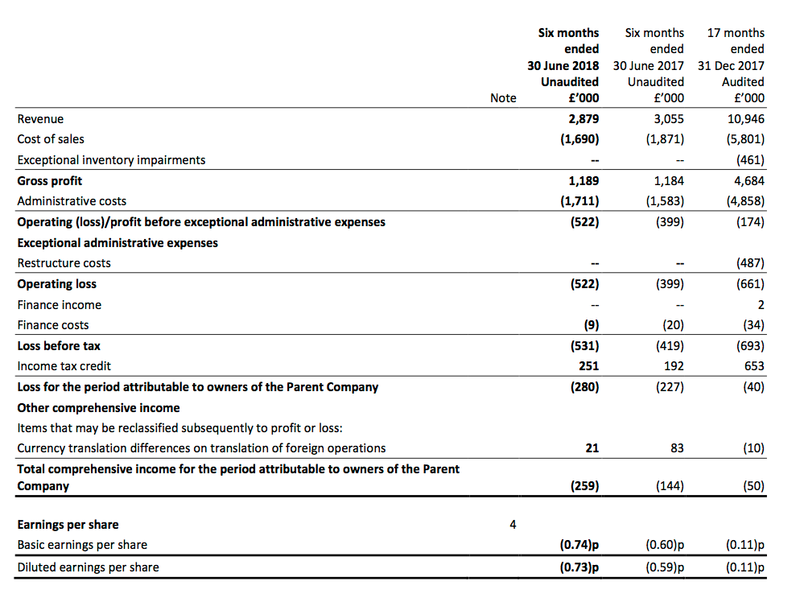 However, this first-half statement owned up to a £522k operating loss. True, GTC said revenue from its geoscience software was “typically weighted to the second half” and a $0.9m high-margin data sale had just missed the 30 June cut-off. But I had interpreted a trading update during August to be signalling a break-even performance given the cash position had dropped by only a fraction. 1) H1 revenue of £2.9m was GTC’s lowest since 2011. 2) Completing the aforementioned $0.9m data sale apparently “would have resulted in H1 revenue growth of 16%” — which I calculate to be an extra £489k (although $0.9m translated at £:$1.31 equals £687k). I am not sure whether this data sale would have offset the £522k loss entirely — despite GTC claiming the data sale would have delivered a “significant expansion in profit”. 3) Revenue for the comparable period of 2017 — the six months to June 2017 — was £3.1m. However, GTC’s 2017 results indicated revenue for the six months to July 2017 was £3.6m. So a difference of one month to the reporting period can move the top-line — and the year-on-year comparison — significantly. 4) Sales booked for periods beyond this H1 came in at £1.4m versus zero for this time last year. GTC claimed “a significant increase in the number of customers purchasing multi-year subscriptions to our information products and software”, which I trust bodes well for the second half. Despite those tax refunds (and credits), cash in the bank reduced by £523k after £426k was injected into working capital and £145k was used to pay off some debt. Net cash finished the half year at £1,389k, which will not last long if this H1 operating loss is continually repeated. GTC’s freehold office in Leeds was put up for sale this year and is in the books at £2,424k (point 11). A “number of parties” have seemingly expressed an interest and I hope the building — which includes a “grand neo-Jacobean style carved wooden staircase and the superb glazed ‘peacock cupola’ dome” — is soon sold. Selling the Leeds office and closing a Henley site will incur exceptional H2 costs of £200k. At least GTC reckons its costs for 2018 — including this £200k — will not exceed those for 2017. Back in March I had hoped the business could earn a ‘clean’ £200k-to-£300k operating profit for 2018. I even had “my fingers crossed for some upside should extra revenue actually arrive”. I have to admit, I will now accept a break-even performance for the current year — which makes GTC’s present valuation hard to judge. Right now, the £14m market cap is supported by the aforementioned net cash and property (£1.4m plus £2.4m) alongside the expectation of earnings reviving in time. Normally I would not waste my time remaining with a business that is struggling to report a profit. However, I can make an exception for GTC because the firm does possess some appealing products. Indeed, management claims GTC is by some distance a ‘market leader’, while a good proportion of sales are typically high margin and recurring in nature. A significant sale of a Sierra Leone exploration dataset lingers in the background, too. …and that GTC’s oil clients eventually start to spend greater amounts on exploration software. PS: You can now receive my Blog posts through an occasional e-mail newsletter. Click here for details. Disclosure: Maynard owns shares in Getech. This entry was posted in Getech, My Shares and tagged Getech, GTC on October 8, 2018 by Maynard Paton. A useful results powerpoint has become available on GTC’s website. 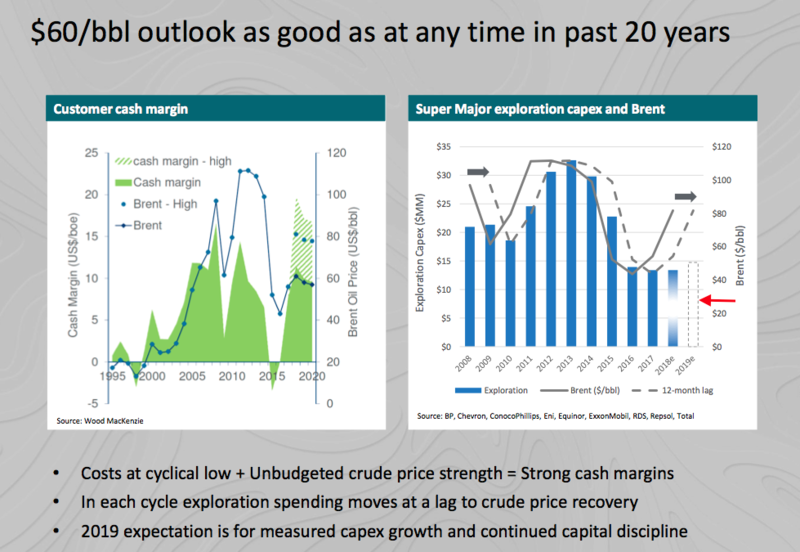 The chart the right suggests there is a 12-month lag between a rising oil price and rising exploration capital expenditure. The prediction for 2019 is that such capex will increase (see my red arrow). Hopefully that prediction should then filter down to greater interest in GTC’s software and services. A promising update, albeit one that underlines GTC’s dependence on large contracts. The Getech Group (AIM; GTC), a provider of geoscience and geospatial products and services to companies and governments who use them to de-risk exploration programmes and improve their management of natural resources, is pleased to announce the sale of an integrated suite of geology, gravity and magnetic data and knowledge products. The total multi-product sale, made to a leading global oil and gas company, will generate gross income of US$3.2 million; the majority of which will be recognised in the financial year ending 31 December 2018. On this basis, we expect FY 2018 revenue to exceed that delivered in FY 2017 by at least 10% (January to December 2017: £7.2 million). The sale also adds recurring revenue to 2019 via a new customer subscription to our Globe product. So, FY 2018 revenue should be £8m and H2 revenue should be approximately £5.1m. * other sales (£5.1m less £2m less £0.7m = £2.4m). More than half of H2 revenue could therefore be dependent on two customers. Not ideal, but I will take this result given GTC’s shaky recent history. I am pleased at least one major oil company continues to spend money on exploration software. …is mostly why I remain invested despite the shaky record of the last few years. I must admit I was sceptical of this projection, but your post has promoted me to revisit what is going on. In the H1 results presentation, the “simple profitability formula” was given as total costs of £7m a year with 85% costs as fixed, which would create positive free cash flow if revenue was greater than £7m (pre financing and working capital). So with revenue of £7m, fixed costs at 85% are £6m and variable costs are £1m. So with revenue moving to £8m for 2018, fixed costs should stay at £6m and variable costs should arguably increase to £1.4m given “each 10% increase in revenue would broadly translate to a £0.6 million increase in free cash flow”. That could mean a £0.6m profit 2018 could be on the cards? I may have under-estimated GTC’s profitably here. I had been hoping for a break-even performance for 2018. That said, I would have thought if GTC did strike a decent H2 profit — the sums suggest £1m-plus — then the early January trading statement would perhaps have confirmed it. I like the phrasing “counter cyclical M&A” — sounds as if GTC was snapping up bargains! Which certainly was not the case with ERCL — average sales per month dropped from £352k to £113k between 2015 (year of purchase) and 2017. Exprodat has not fared well either, but its software/products appear more robust for shareholders. True, but the view on intangibles is significant here. Are they worth book value? Difficult to know for sure. Amortisation of £400k-plus was charged last year against ‘legacy’ intangibles that will eventually be valued at zero. I think ultimately GTC’s valuation will be supported by positive cash flow/earnings, and perhaps an outside chance of a windfall from the Leeds property sale. The other point I would make concerns the new boss. My notes say he has been a geologist at Shell, an Oil & Gas equity analyst at Deutsche Bank and the finance director at Salamander Energy. So a pretty heavyweight CV — which does beg the question why he decided to take charge of a struggling AIM micro-cap. I like to think he has real conviction about GTC’s software and data. The new leader has done well to cut costs and refocus the business from an academic heritage to one with a greater commercial focus, and I particularly like the cost-base tables and the aforementioned “simple profitability formula” he now provides. I think all we need now is more O&G customers buying the software. Getech (AIM; GTC) provides geoscience and geospatial products and services to companies and governments who use them to de‐risk exploration programmes and improve their management of natural resources. The Group’s activities focus on a suite of data, software and information products; the value of which is enhanced through services that leverage these products and the Company’s geoscience‐geospatial skills. Getech’s product‐led strategy targets recurring revenue growth. Its programme of investment is shaped by a culture of customer collaboration and a commitment to continuous product and service enhancement. In 2018, against rising and then falling crude prices, this strategy helped keep the Group’s sales campaigns aligned with its customers’ most pressing commercial needs. This update covers the 12‐month accounting period ended 31 December 2018. All figures referred to in this statement are unaudited. The audited accounts for this period will be published on or around 30 April 2019. Having moved its financial year‐end from 31 July to 31 December, Getech’s prior audited accounts are for the 17‐month period to 31 December 2017. To aid year‐on‐year comparison, this update includes unaudited financial comparators for the 12 months ended 31 December 2017 (referred to as FY 2017). Full details of FY 2017 will be published alongside the audited 2018 accounts. Brent averaged $71/bbl in 2018, 42% higher than its prior three‐year average†. With long‐dated Brent consistently in excess of $60/bbl† and industry reserve replacement falling, Getech’s sales conversations for most of the year had a more forward‐looking tone. In H1 2018, with the Company’s customers looking to maximise their investment in people and technology, Getech extended its pipeline of multi‐year subscriptions to its information products and software. This expanded Getech’s foundation of recurring revenue. The fragility however of global growth was highlighted by a Q4 crude price fall, Brent tumbling from a high of $86/bbl to a low of $50/bbl†. It is the Directors’ opinion that this fall lengthened and complicated the sales cycle but by repositioning customer conversations, the Company ended 2018 with a significant sale of data and products. This sale also added a new customer to the Globe user community. Annual Group revenue is expected to increase to £8.0 million, an 11% rise (FY 2017: £7.2 million). Product sales remained the key engine for growth, expanding year‐on‐year by 24% (FY 2017: 19% growth) and forming c80% of total sales (FY 2017: 72% of total sales). As noted above, many of these new product sales had a multi‐year component, the forward value of which totalled an additional £1.0 million. In Services, despite growth in Gravity & Magnetics and Geospatial Solutions, the Geoscience Service market remained challenging. Restructuring steps were taken in H2 2018 (discussed below). Having lowered the Company’s underlying like‐for‐like cost base by 32% between 2016 and 2017, in 2018 management continued to optimise the business for profitable growth. Getech strengthened its operations by investing in its people, products and services. The Group added new skillsets to its offering, and new datasets were made available to customers. Globe’s expanded content and functionality attracted new users and work was completed on time and to cost. Updates were delivered to Getech’s Global Depth to Basement product and the Company launched Tectonics Online, a new cloud‐based platform through which customers can access Getech’s plate‐modelling expertise. Getech’s Data Assistant and Exploration Analyst software were both upgraded to ArcGIS Pro, and an Unconventionals Analyst upgrade is scheduled for the spring. In Services, utilisation grew for the Company’s Gravity & Magnetic team and the Geospatial team won a new support contract with a supermajor and expanded its work in the energy infrastructure space to include sub‐sea power cabling and terrestrial pipeline projects. Both teams delivered revenue and profit growth but at the divisional level this was offset by a fall in Geoscience Service revenue. To address the losses in Geoscience Services, in H2 2018 Getech restructured this team, and in October the Company merged its London and Henley offices. The total cost of this restructuring was £0.2 million, and it is expected to deliver a forward annualised fixed cost saving of c£0.5 million per year. The Geoscience Service team is now more flexible and fully aligned with Getech’s activities. Its tendering process has been strengthened and the team are awaiting award decisions on several potentially significant new projects. Before restructuring costs, Getech’s 2018 total cost base is expected to be £7.6 million (FY 2017 £7.2 million). Product investment expanded to approximately £0.9 million (FY 2017: £0.8 million). Fixed costs fell by £0.1m to £6.3 million, whilst variable costs increased by £0.5 million; a key driver of which was a greater weighting of data sales in the H2 2018 sales mix. Cash from operations, before changes in working capital and restructuring costs, is expected to total £1.2 million (FY 2017: £0.6 million). In addition, cash R&D tax credits totalled £0.5 million (FY 2017: £0.4 million). Adjusted for restructuring costs, EBITDA for the year is expected to total £1.2 million (FY 2017: £0.9 million, FY 2017 adjusted for both restructuring costs and inventory impairments). During the year Getech refinanced its debt; a long‐term loan that was reaching maturity and secured against the Group’s Leeds office. This involved repaying an outstanding sum of £0.63 million and drawing down a new loan facility of £0.95 million. Cash at 31 December 2018 totalled £1.4 million (31 December 2017: £2.4 million). A fall in cash balances toward the year‐ end was due to the timing of sales and at 31 December 2018 Getech held a material net receivables balance (current receivables, less current payables) totalling £2.0 million (31 December 2017: £0.2 million). At year‐end, net cash plus net receivables totalled £2.5 million (31 December 2017: £2.0 million). Excluding long‐term debt, the total rose to £3.3 million (31 December 2017: £2.4 million). 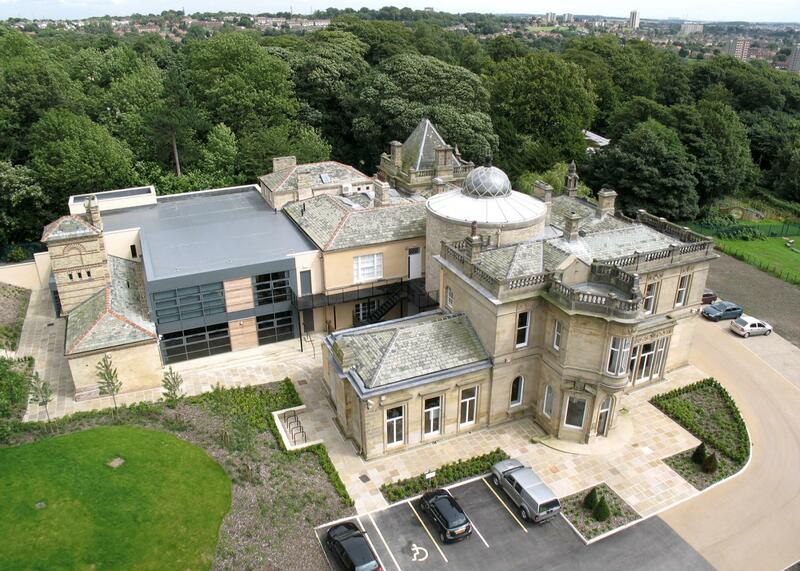 In the year Getech placed its Leeds office, Kitson House, on the market for sale. There have been numerous viewings but in the run‐up to Brexit, UK property investment activity has slowed. The capital invested in Kitson House can work harder for shareholders but Getech is also not a forced seller of this asset. Crude prices have strengthened and stabilised year‐to‐date† and the breadth of Q1 new sales activity has been greater than in recent years. Balancing this, the lengthening of the sales cycle that emerged in Q4 2018 has persisted into 2019; the Directors believe that customers are cautious over the early release of their exploration and new business budgets. The Company’s 2019 sales campaigns and programme of investment are positioned to unlock these conversations ‐ their focus being on the commercial and operational priorities of Getech’s customers. 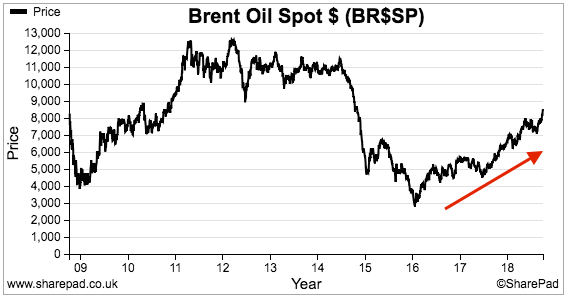 * Cost base is measured as: cost of sales, administrative costs and development costs capitalised, less depreciation and amortisation, and adjustments for movements in inventories, foreign exchange and non‐cash provisions. These are Getech’s cash operating costs. Revenue of £8m for FY 18 means revenue of £5.1 for H2. Cost base of £7.6m for FY 18 means cost base of £4.1m for H2. H2 ‘profit’ could therefore be £5.1m less £4.1m = £1m. Not sure why GTC haven’t cited an actual profit figure (other than EBITDA) — especially when last year the firm published its FY 2017 results at the end of Feb. This year we have to wait until the end of April. I will have to look closer at this statement to piece together the figures that have been cited. Quick question is Bell Geospace a direct competitor of GETECH? Not sure. Bell’s website suggests the company produces only gravity data. Getech’s Globe system incorporates gravity as well as a lot of other data to provide customers with a more comprehensive product. Bell could well supply Getech with its gravity info — Bell appears to fly its own planes to create the data. Getech is more of a data aggregator and uses its software/consultants to help pinpoint where to drill. occasional round-up of new content.